The 4-star Mercure Hotel Saarbrücken City is in the heart of this mini metropolis, just a short walk from the banks of the River Saar. All 150 non-smoking rooms have air conditioning and free WIFI. Plan and host your event for up to 100 guests with us - our meeting area has 4 partially modular rooms. We are easy to reach, with both the main train station and the A620 highway just 328 yards (300 m) away, and Saarbrücken airport 9.3 miles (15 km) away. Saarbrücken has a distinct European identity. The city is the economic and cultural hub of the Saar-Moselle region and forms part of the QuattroPole city network - a strategic alliance between the cities of Luxembourg, Metz, Trier and Saarbrücken. 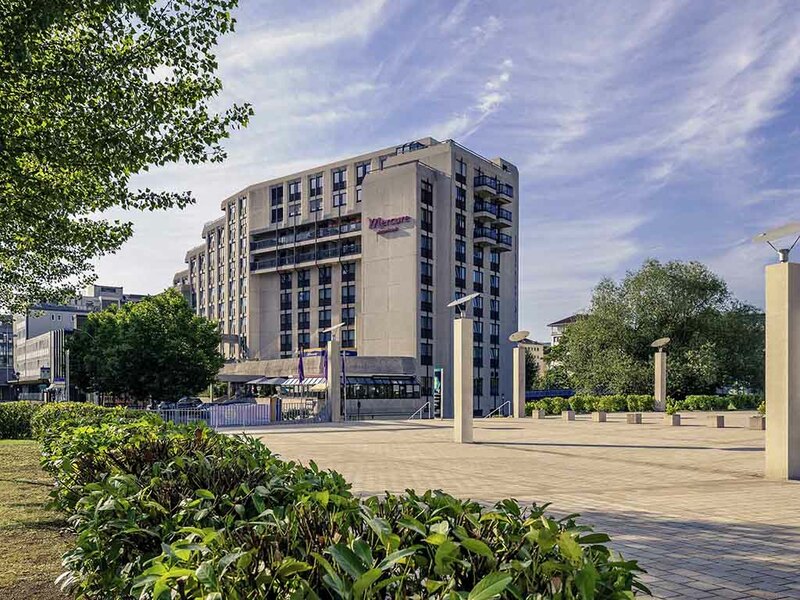 The 4-star Mercure Hotel Saarbrücken City offers a choice of Standard Rooms with double bed, Superior Rooms with double bed or twin beds and comfortable Privilege Rooms with double bed and sofa. All 150 rooms are equipped with WIFI and are air-conditioned. One child aged up to 16 can stay in their parents' room free of charge on request. Pets are also welcome to stay for a charge of EUR 8.50 per night. Our traditional Schlemmerie restaurant is open from 12pm to 2:30pm (Mon-Fri) and daily from 6pm to 10:30pm. Here, our menu comprises international specialties and regional dishes, which can also be enjoyed on our terrace. The air-conditioned bar is the perfect place to relax or chat with other guests over a glass of wine or a cold beer. Come and join us Monday to Friday, between 5pm and 1am.